This is the second to last post for September 2017. Here's a couple of photos taken from the back porch at home. 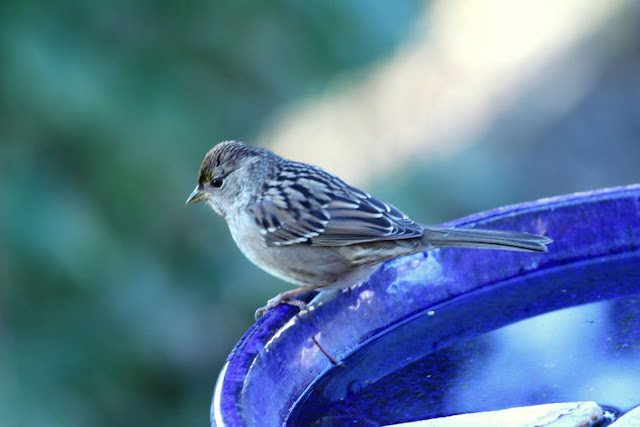 We get some Golden Crowned Sparrows in the yard, this one looks like an adult in winter plumage. 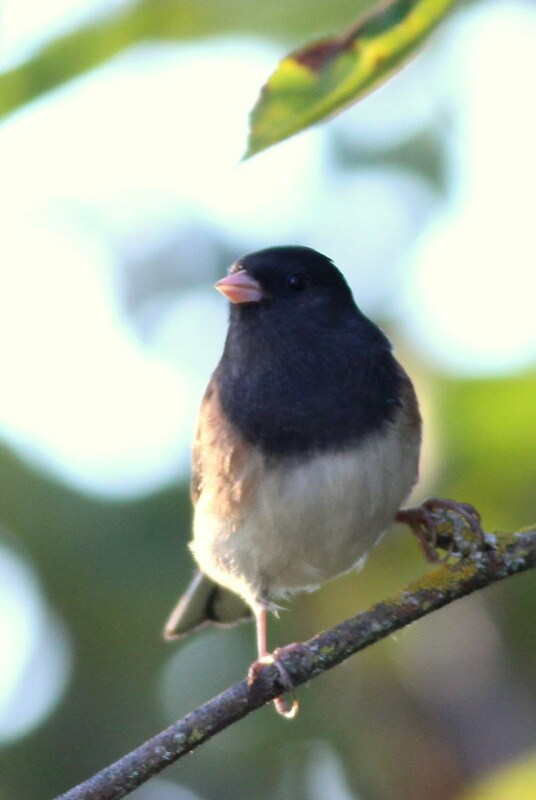 A sign that winter is coming is the reappearance of Juncos. We'll have them in good numbers for the next 6 months as long as we keep the feeders filled. We'll have a few finches hang around for the winter, this female house finch might be one of them. I had the day off from work and was playing golf in the afternoon in Langley. I decided to travel out to Chilliwack in the morning. 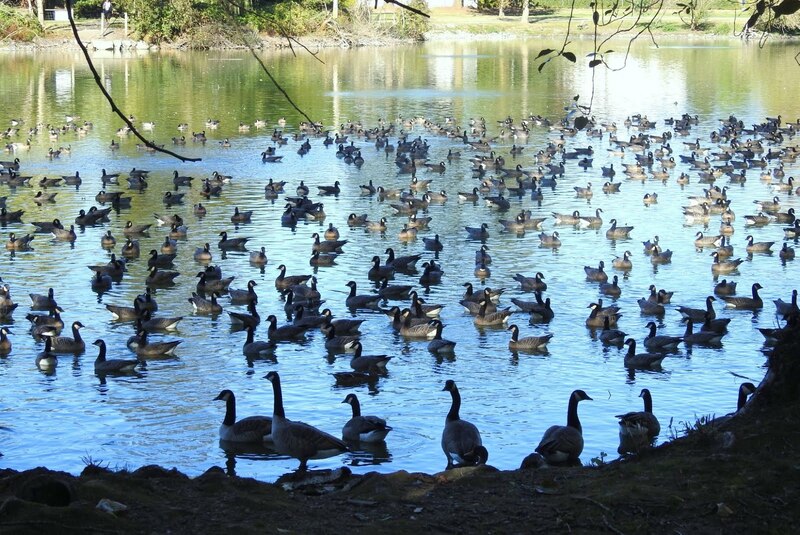 There'd been a report of Cackling Geese arriving at Sardis Park, where they'll likely stay for the winter. 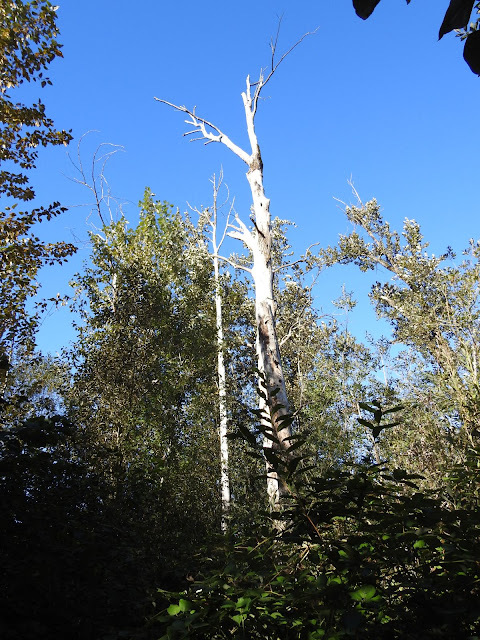 My first stop was the Great Blue Heron Reserve in Greendale, a community to the west of Sardis. I've visited here frequently but really only had one good outing. 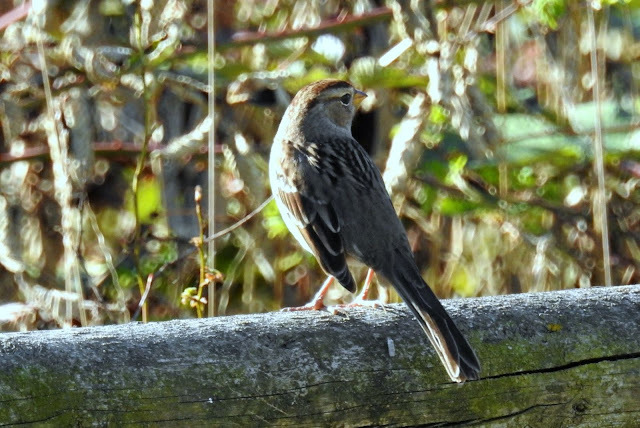 Today it was scarce again but I did get a photo of a common sparrow. 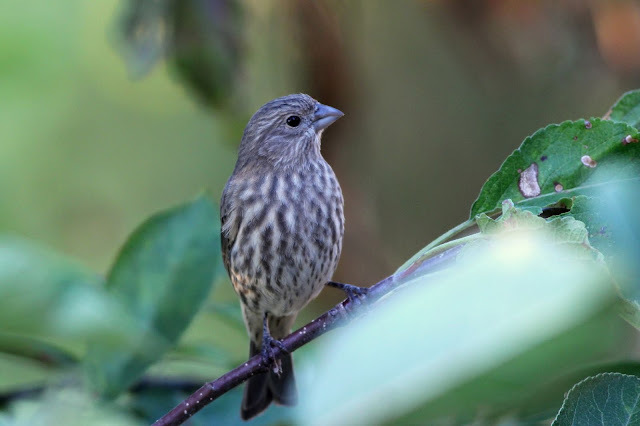 The dark head indicates a juvenile bird. My next stop was Sardis Park where I hoped to see the Cackling Geese. 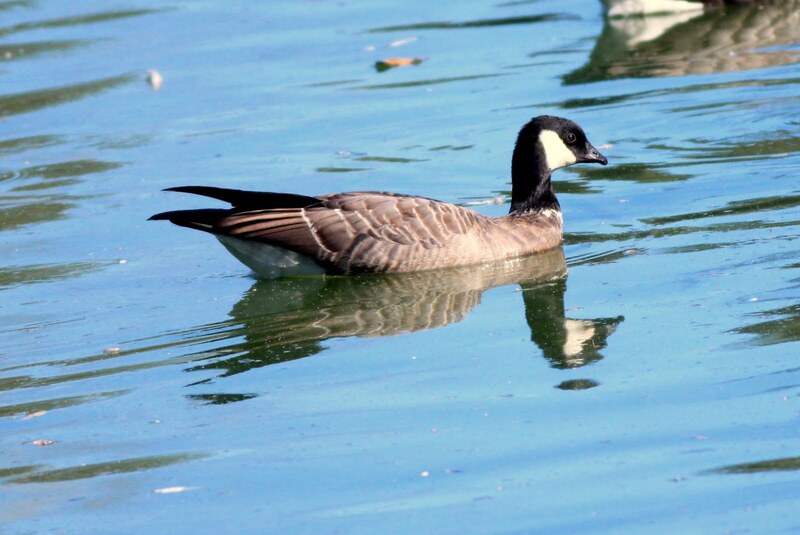 They are similar to Canada Geese, but are much smaller. They have a distinctive call which you can here in the video below. 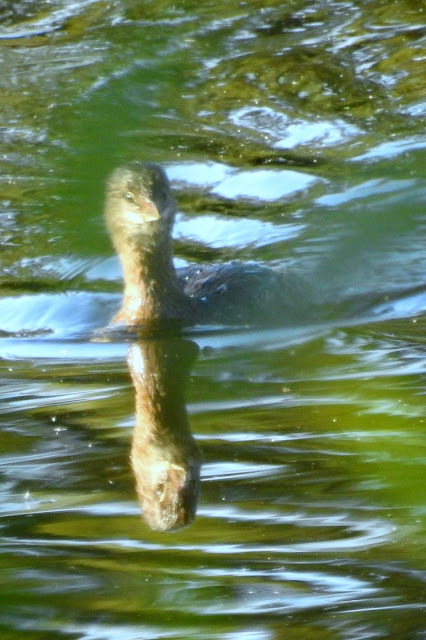 Here's a close up of one, you can see the size difference and the shorter beak. I'd seen one of them in April in the Okanagan but this is the first good photo. I took this photo of the bird below, I'm not sure if this is a goose or a duck. The all white condition is called leucism meaning the bird cant' produce coloured pigment for its feathers. 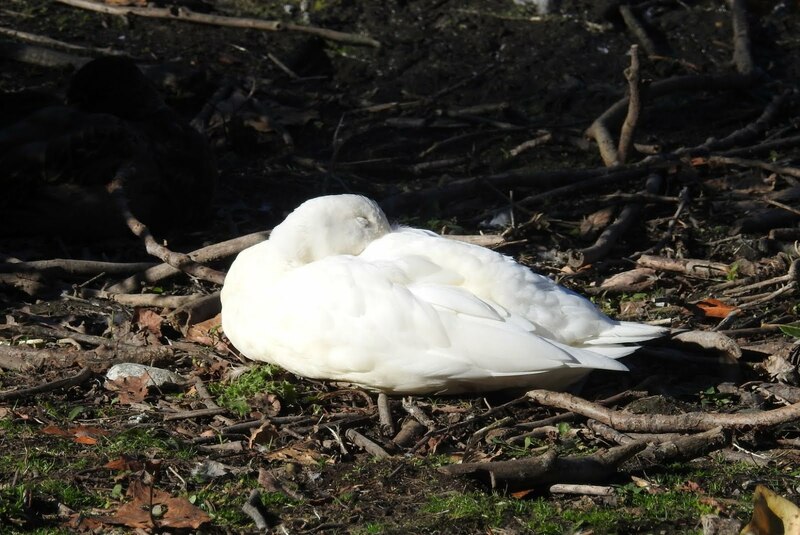 It is not an Albino bird. It was time to leave for my golf game in east Langley. Little did I know that there had been a massive accident on Highway 1 and I'd be sitting in traffic for an extra 45 minutes. I just made in time and did see one bird on the golf course. The Geese made the day worthwhile in spite of the traffic problems. The golf was fun too.